Dharavi is a large and highly populated slum area in Maharashtra region. The Maharashtra Government launched a competition for the redevelopment of Dharavi. Basing on the ten “One planet living” principles, a master plan is developed with the aim to promote a sustainable and prosperous future for the area and for its population. Systematica, as a traffic consultant, studied the project accessibility and public / private transport strategies. The proposed integrated public transport strategy is mainly made up of two levels of systems: the new LRT corridor and the extended local bus network. The main aim is to provide the most suitable level of pedestrian accessibility so that the entire area of Dharavi development would be covered by the new services. The streets of Dharavi are a living evidence of the site’s origins – the current street texture and urban grain show the settlement’s organic growth. 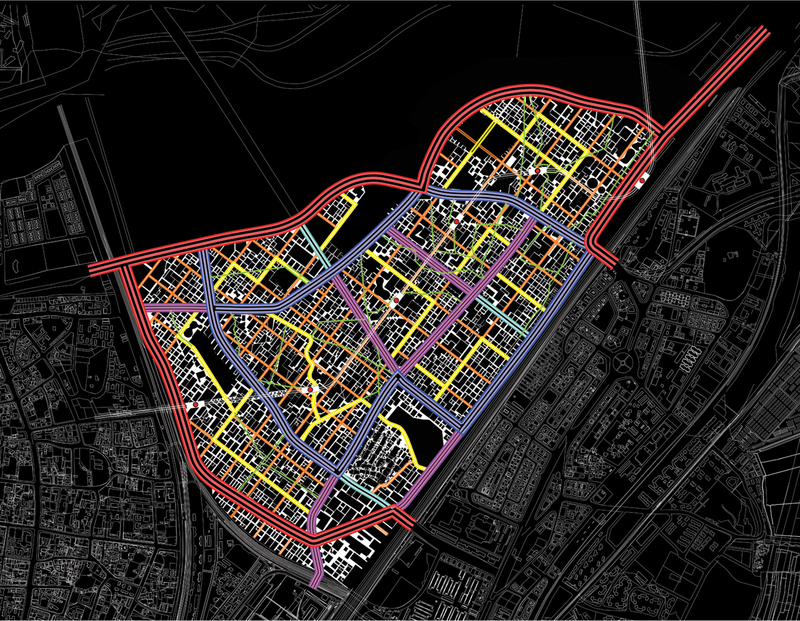 In the master plan scheme, the detailed sections of the grid are maintained, though supplemented by wider access roads – the previously impermeable city within a city will be opened up with new public transport links and pedestrian routes. This means that the people will keep their streets and their associated sense of identity, but rather than narrow lanes, the new corridors will be raised within buildings, visually improved and connected to open plazas. 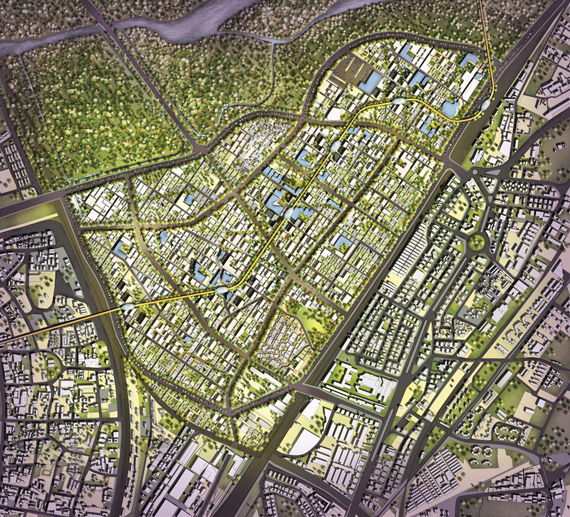 The previously impermeable city within a city will be opened up through new public transport links and pedestrian routes.